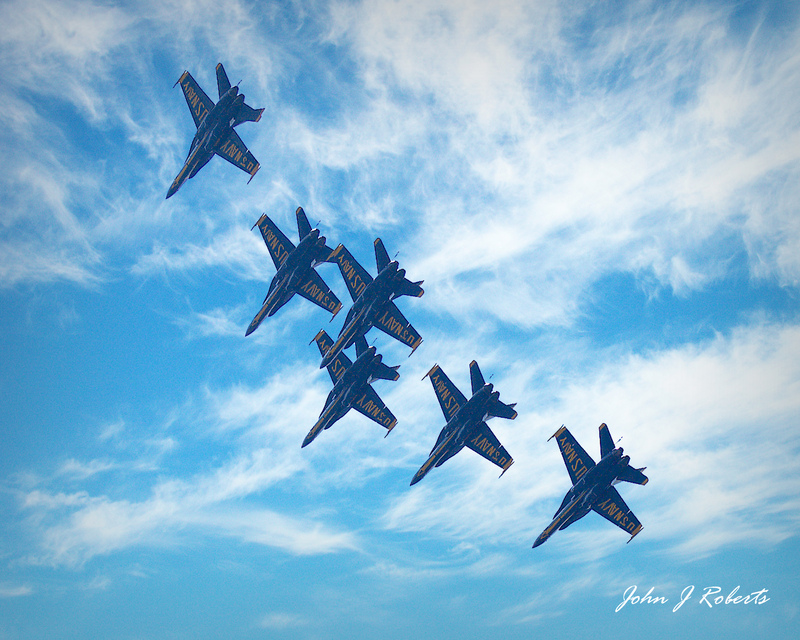 Each year the US Navy Blue Angels perform at Seattle’s Seafair in August. We live just under the northeast turn point where they group up to return to “center point”. This photo was taken from my back yard. The upper photo was taken from the deck of a ferry returning from Bremerton in 2006. The night scene was taken at the Alki Point boat ramp in 2011.